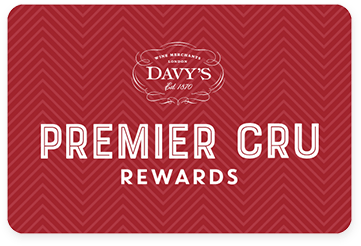 Premier Cru Rewards - Purchase this today and earn 132 points to redeem for free wine and gifts. Château Cissac has been consistent through time, producing authentic and robust Bordeaux style with good structure and delicate fruits. Plenty of blackcurrant fruits and a hint of oak. The palate is well structure with firm tannins. Cissac’s is a perfect example of classic claret style at a great price! Owned by the Vialard family, this is a very fine wine. While it does have strong wood flavors at this young stage, they are going to be there to support the ripe jammy fruit. The wine from this 111-acre estate is generous and is going to age well. Drink from 2022. Located in the Haut-Médoc next to Saint Estephe and Pauillac, Château Cissac was founded in the 18th century on the ruins of a Roman Villa. It has been in the Vialard family for several generations but its reputation started in 1940 under Louis Vialard’s ownership. Today his grand daughter Marie is in charge and the quality of Château Cissac has been consistent through time, producing authentic Bordeaux style with good structure and delicate fruits. View our selection. The 65 hectares of vineyards is planted with 75% Cabernet Sauvignon, 20% Merlot and 5% Petit Verdot. The grand vin is aged for 14 months in oak barrel of which 30% new. Château Cissac (grand vin), Reflets de Château Cissac and Château du Breuil.